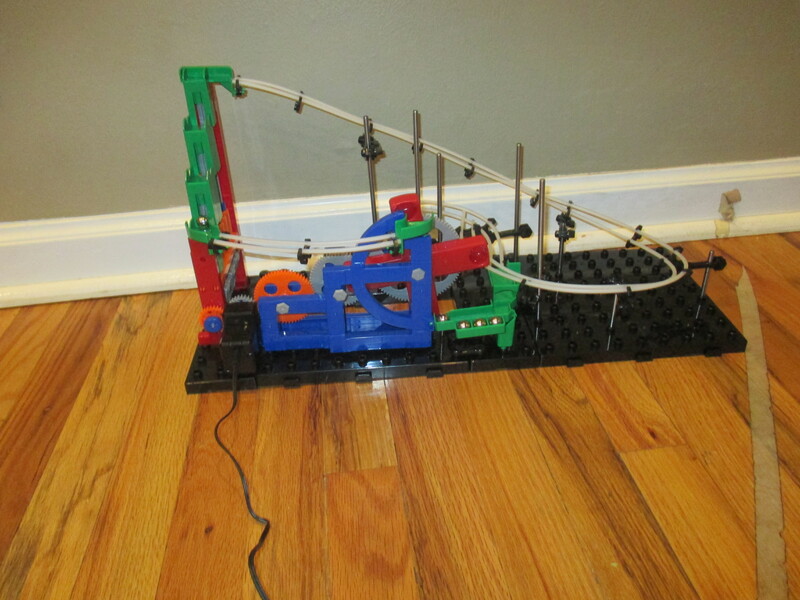 I built another of my own design Spacerail ball machine. 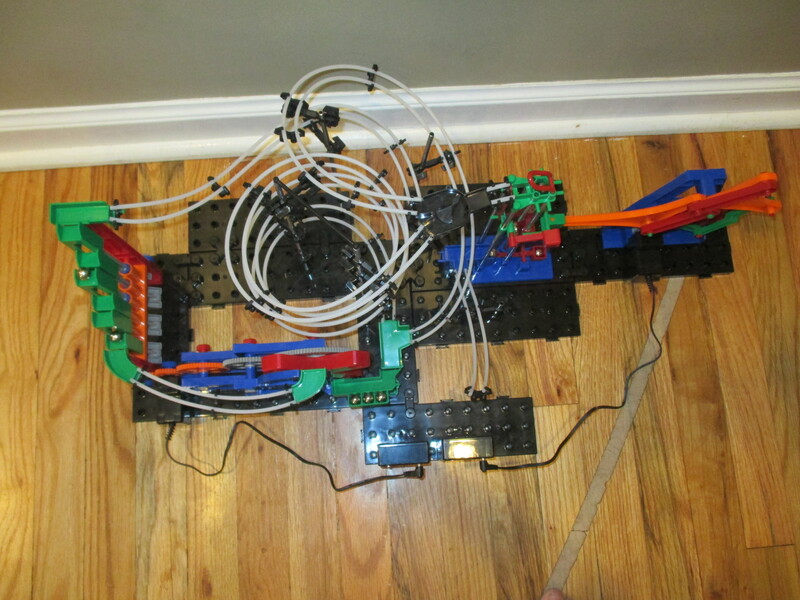 It has two Networks and three Tracks. 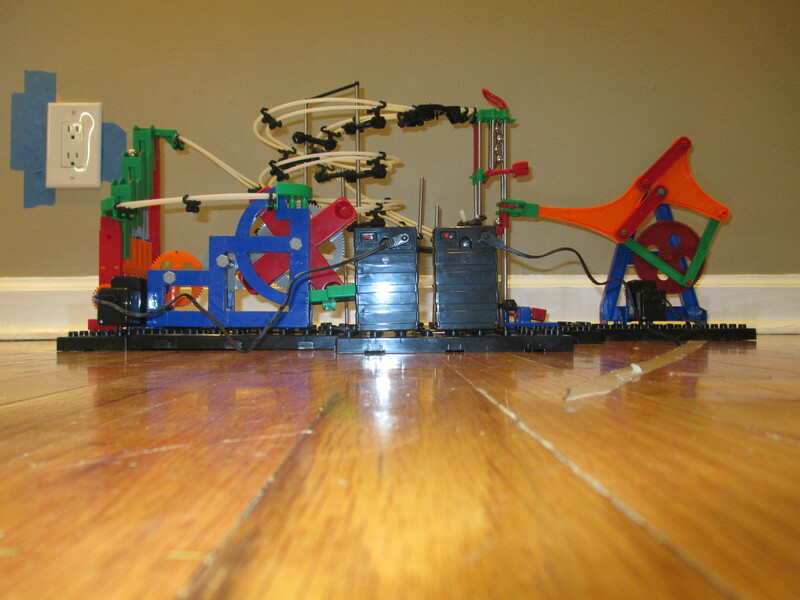 Below are the pictures and video. 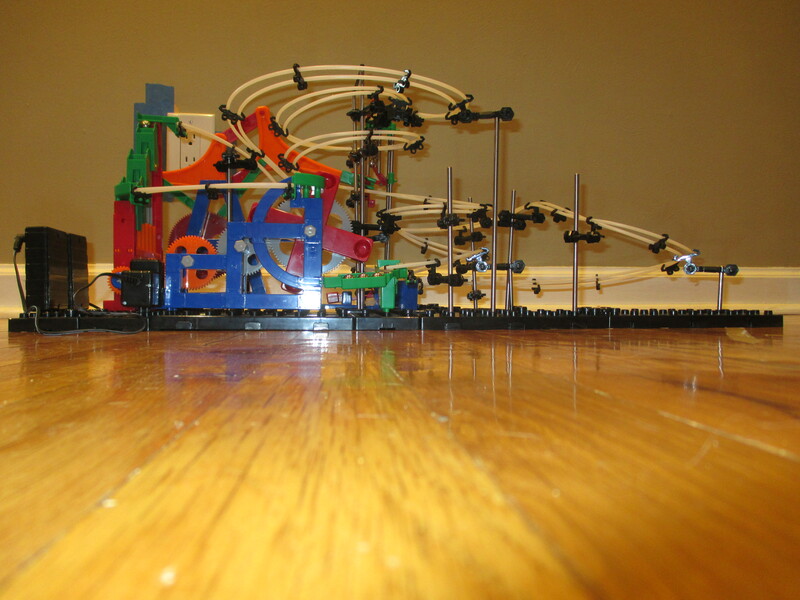 I built my second own design Spacerail ball machine. It has two Networks and three Paths. 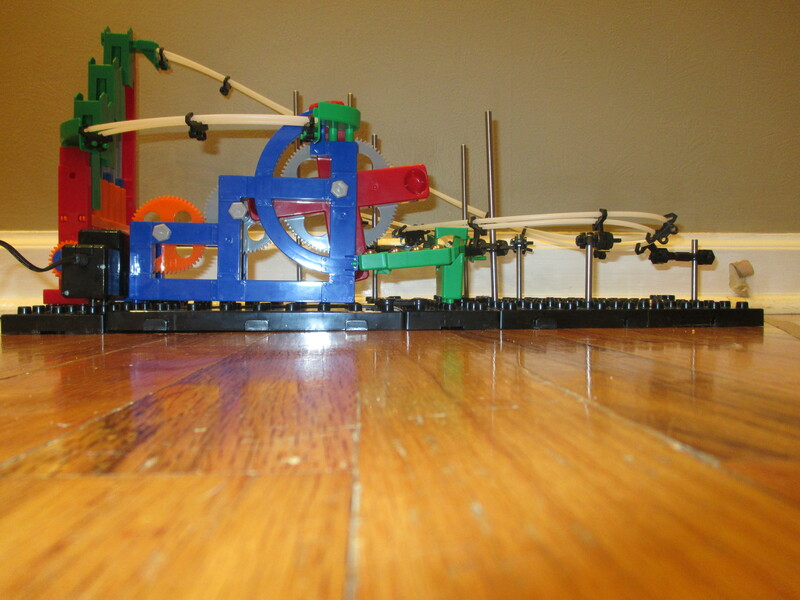 I combined the Spacerail sets 232-1 and 232-3. Below are the pictures and video. 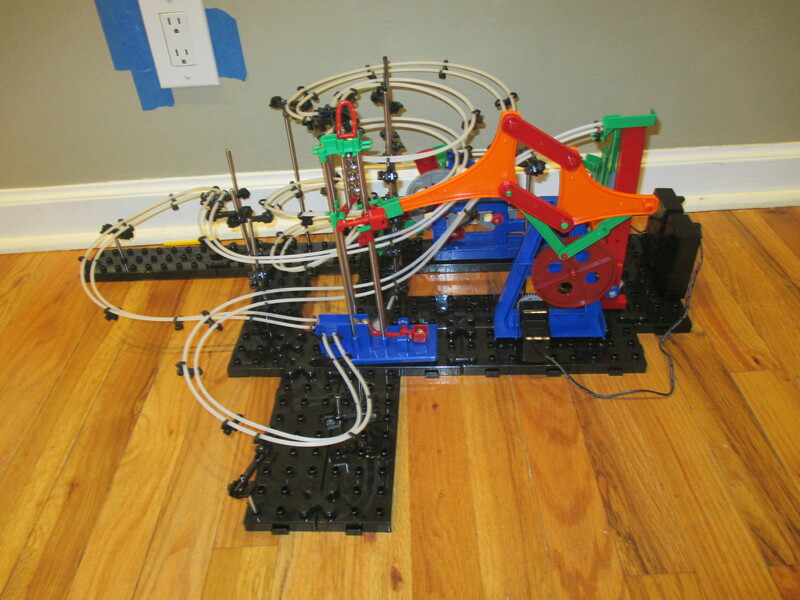 A few days ago, I built a ball machine element that works with both K’nex balls and marbles. 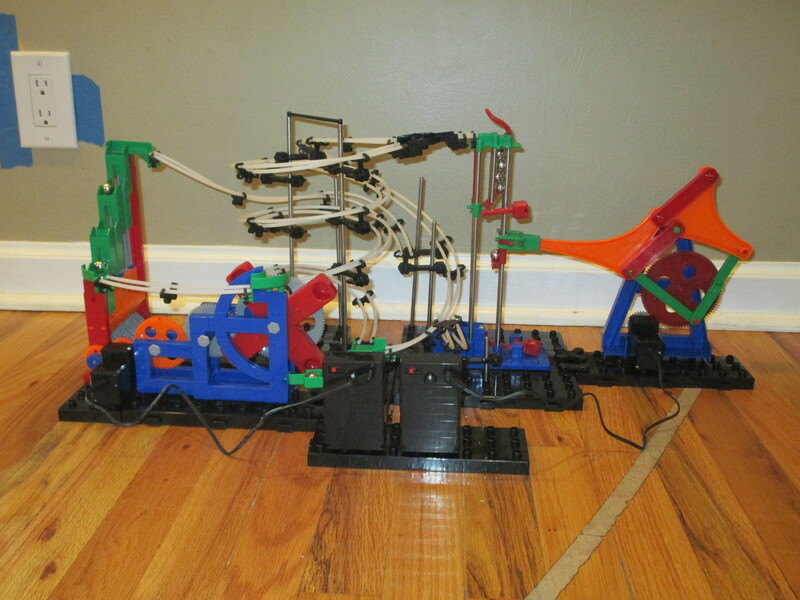 The coolest part is the sorter at the end. 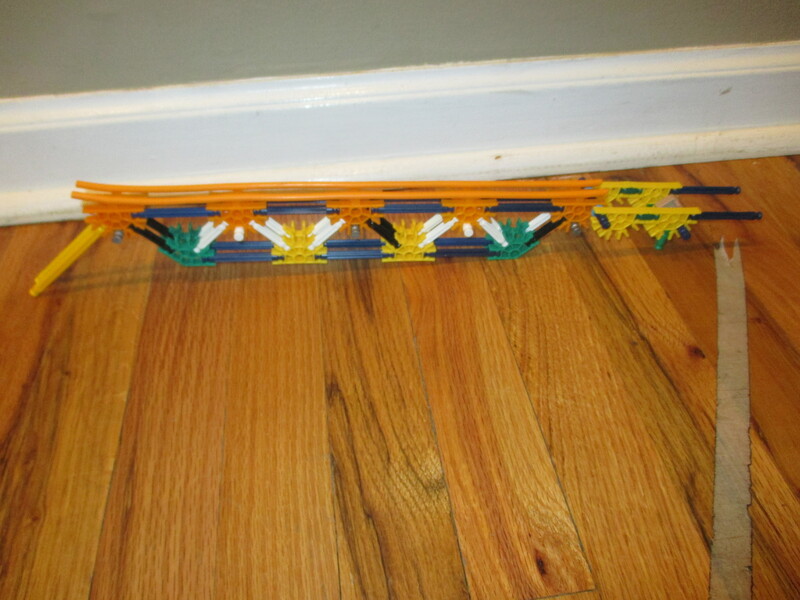 It sorts the K’nex balls and marbles. Below is a picture and the video. 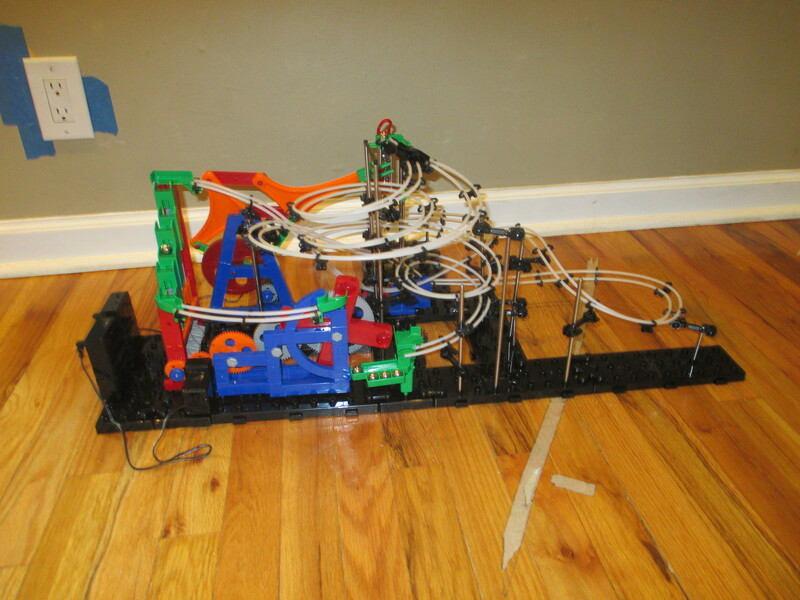 I built my own Spacerail ball machine. I got my first Spacerail set on Friday, July 18th. 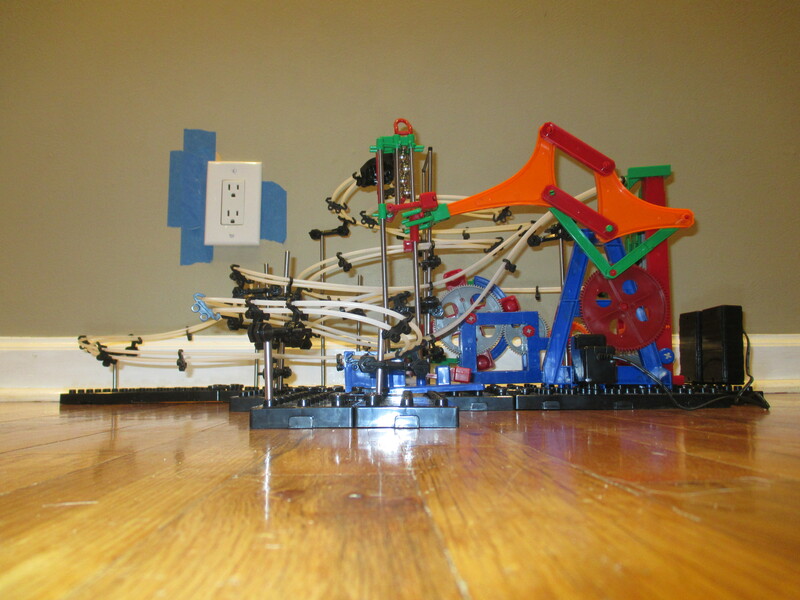 I built the ball machine in the instructions that day. 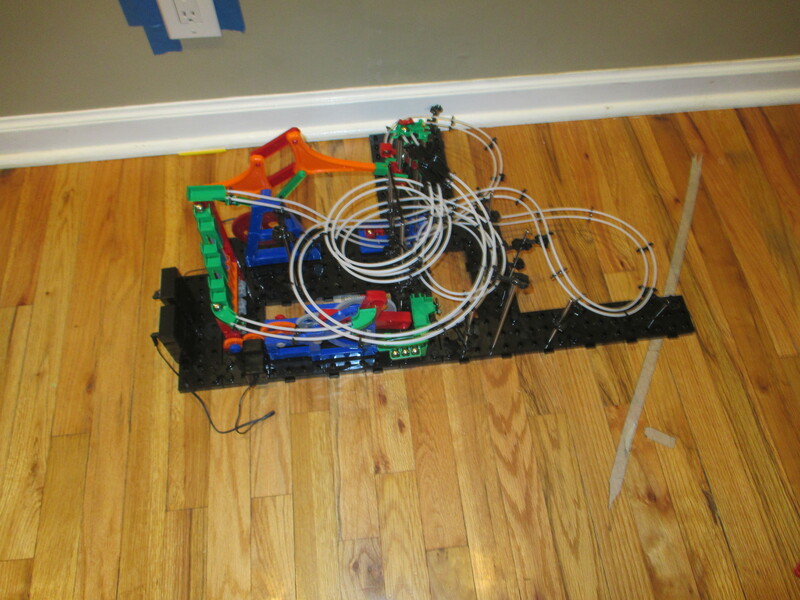 The next day, Saturday, July 19th, I designed, built, and filmed my own Spacerail ball machine. 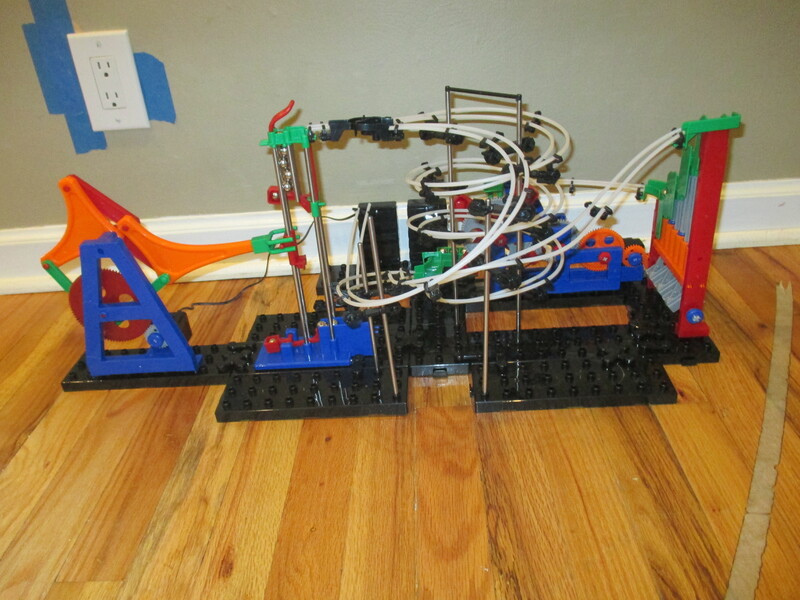 It uses 4 balls and has 1 track. Below are the pictures and video. 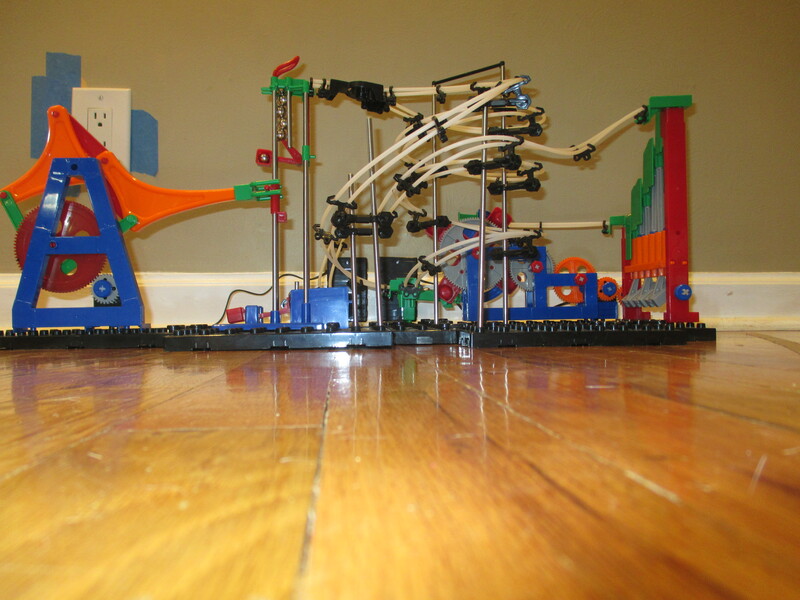 Spacerail ball machines remind my mom of Denha.